Samsung is set to launch its next Galaxy Note 7 smartphone on August 2 in New York but it seems the company also has a new Gear VR in the offing. Samsung which was likely to launch a new Gear VR at its pre-MWC event decided to continue with the existing version. 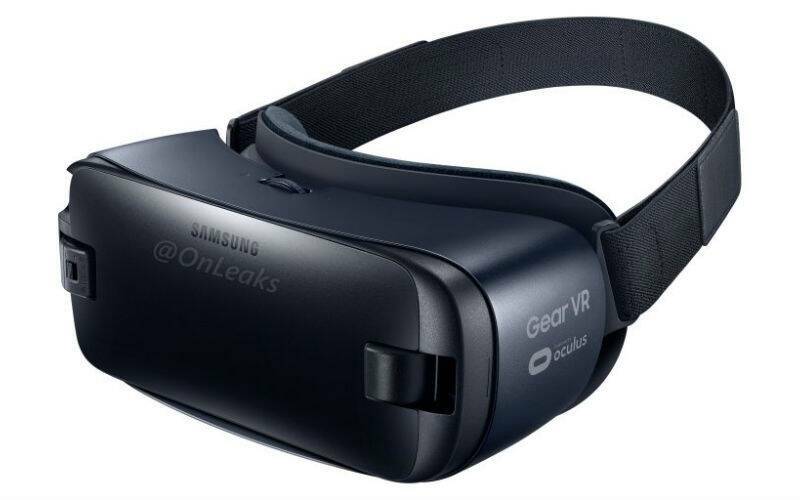 Now, Twitter user @Onleaks has confirmed that Korean company will introduce new Gear VR along with Galaxy Note 7 on August 2. It seems the new Gear VR is bring introduced in order to make it compatible with the USB-C port on Galaxy Note 7. Samsung’s previous Galaxy lineup including Galaxy S7 and S7 edge used regular USB ports for interface. According to French website Nowhere Else, the new Gear VR will possess expanded vision of 110 degrees and will be wider than the current generation Gear VR. The website also confirms that new Gear VR will be compatible with outgoing Galaxy flagship devices. The website has also uploaded high resolution pictures of next Galaxy Note device. The Galaxy Note 7 is expected to feature a 5.7-inch Quad HD Super AMOLED display with dual edges. The device will be powered by Qualcomm Snapdragon 820 processor in US while other markets will get Exynos variant. Samsung Galaxy Note 7 is likely to feature 4GB RAM and not 6GB as it was reported before. Samsung Galaxy Note 7 will run Android 6.0 Marshmallow with TouchWiz UI optimised for S Pen functionality. Samsung Galaxy Note 7 is expected to get the same 12MP dual pixel image sensor found on Galaxy S7 edge. The interesting new addition this year will be the Iris scanner which could add a whole new way to unlock Samsung Galaxy Note 7. Samsung Galaxy Note 7 is expected to go on sale in France around September 2 at €850.